It is a relatively simple task to keep a natural ​cork floor clean. You can install them effectively in both the kitchen and the bedroom. And a properly applied finish during installation can make the material resistant to stains and spills. However, there are a few basic tasks that have to be performed on a regular basis, if you want your cork flooring to continue to look beautiful for years to come. 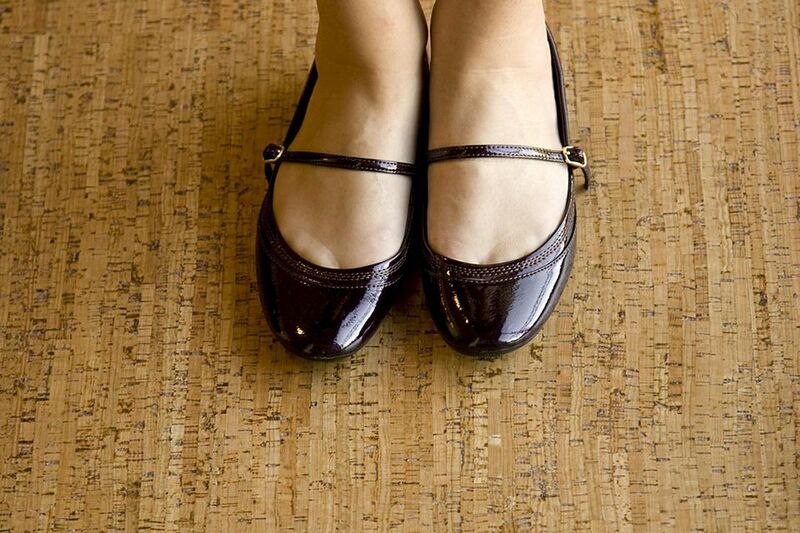 In its natural form, cork is very absorbent, making it susceptible to water damage from spills. That is why it needs to be treated with a finishing agent that will create an invisible barrier over its surface. Many cork tiles and planks come with sealant already applied by the manufacturer. When these are installed, you must add another layer of sealing agent to protect the seams from moisture penetration. A quality water-based polyurethane will create a clear seal over natural cork tiles that will make them nearly impervious to damage from water and stains. The poly should be applied at least four times to unfinished cork or once to pre-finished cork after installation. A polyurethane coat will last on a cork floor for five to seven years before it needs to be reapplied. One drawback to a poly seal is that it will leave the floor susceptible to scratches. Real cork flooring can be refinished periodically with a light 150-grit pad to take it down a level and remove surface scratches. After refinishing, several layers of water-based polyurethane should be applied to the floor to seal it against moisture once again. Waxing a natural cork floor can create a thick protective layer which will protect it from stains, spills, and scratches while also giving it a shimmering, shining appeal. However wax will need to be re-applied every six to 12 months depending on the level of traffic in the area. The strongest, most lasting protection will be from 100 percent natural wax which has not been diluted or mixed with water or oil. Wax will need to be stripped from the cork floor before refinishing it. You may also want to strip the wax coating every few years and reapply a fresh coat in order to remove build-up. Cork flooring is very popular in commercial applications. However, in high traffic areas, it needs to be treated with a special heavy duty finish that will create a barrier which can withstand the rigors of the environment. Regular maintenance of cork only requires you to vacuum or sweep the floor weekly to remove debris that can wear down the surface seal. Spills should be wiped up immediately so that they do not have time to slip past the sealant and into cracks between the tiles or planks. Mats can be situated at the entrance to a room to cut down on tiny debris particles that are tracked in. They can also be placed in wet areas, such as directly in front of the sink, to catch splatters and spills. However, you want to make certain that the mat is made of breathable material. Rubber and other watertight mats will trap moisture beneath them which can ruin the cork underneath. Direct sunlight can cause the cork to fade. Various window treatments can be used to cut down on these effects. A cork floor can be cleaned once a month using a dry or damp mop method. Never immerse the surface of the floor in water to clean it. Use a pH-balanced wood or cork cleaning agent diluted in water. Avoid ammonia-based or harsh abrasive chemical cleaners. For a natural cork cleaning agent, create a solution of four parts vinegar to one part water and apply it to the floor with a damp mop. When you dip your mop in the bucket, make sure that you wring it out before applying it to the surface of the floor. Allow the floor to air dry, or if that is not fast enough, use a dry towel or cloth to soak up excess moisture. Do not allow liquids to sit on the surface of the floor. You should avoid popular household cleaning agents such as orange glow or Swiffer mops as they can leave streaks behind.